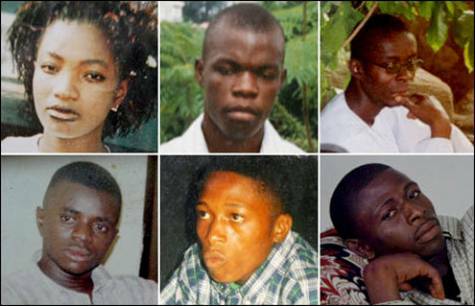 Police explains reasons for reinstating officer indicted in Apo six murders – Royal Times of Nigeria. The Nigerian police have confirmed that a deputy commissioner charged with the 2005 murder of six people and a woman in Abuja has been reinstated. It could be recalled that Ibrahim Danjuma and four other officers were found culpable and tried for the killing of the auto spare parts dealers between the night of June 7 and 8, 2005. They were returning to their home from a club on Gimbiya Street, Area 11 when they encountered some police officers in Apo neighbourhood that fired at them. The police had initially said that the victims, whose were between ages 21-25 and included a woman, were armed robbers. A panel was set up by President Olusegun Obasanjo to look into the disputed account by the police and recommended Mr Danjuma and his men for trial and all the officers were immediately placed on suspension by the police. Twelve years later, two of the officers were convicted and sentenced to death, but the FCT High Court presiding judge, Ishaq Bello, said there was no evidence to convict Mr Danjuma and two others and, subsequently reinstated him. Police spokesperson, Jimoh Moshood said, “The police received instruction from the Police Service Commission that the officer should be reinstated because he had been discharged and acquited by a competent court,”.